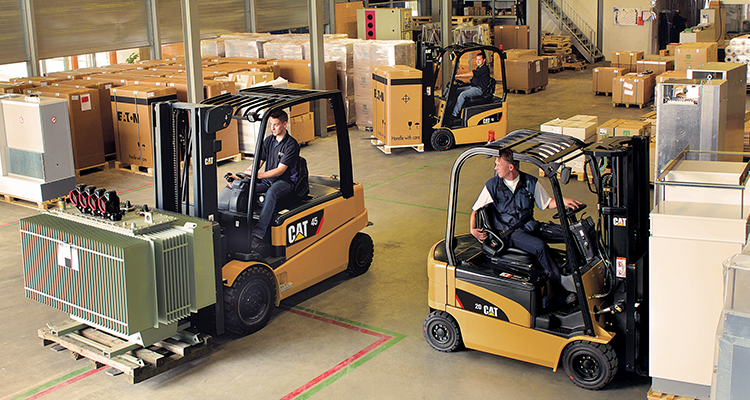 A premium manufacturer like Cat® Lift Trucks understands that designing and producing a large range of forklift and warehouse trucks is just part of the deal. It must also provide a vast number of added products and services, such as efficient spare parts supply or fleet services. One popular service is that of financing materials handling equipment. Gian Schiava talks to DLL, a specialist in this field. 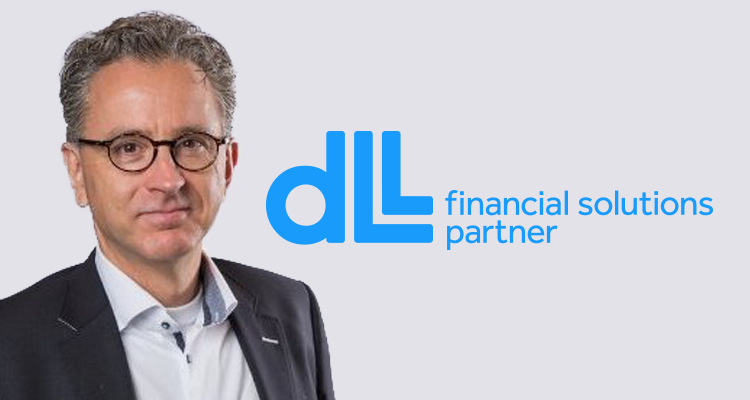 We travel to Eindhoven, home of the head office of DLL, to talk with Michel Steijaert, International Program Manager at DLL, about financing forklifts and to learn more about the reasons behind its popularity. We also discover what the future may bring. Let’s look back in time to see what caused the big breakthrough of financing equipment in Europe. What happened? Basically, in the early days banks were merely helping companies to acquire equipment. Loans were typically given for 50% to 75% of the equipment price. Over time, traditional thinking shifted from owning to using a forklift truck. Businesses started to differentiate between their ‘core activity’ and what was needed to support this. The concept of investing was redefined. From that moment on, an investment was purely a core business related matter. Everything else became a cost centre, and there was no reason to own those assets anymore. When DLL started to work with the Cat® dealer network ten years ago, forklift buyers were interested in interest rates and special deals. Today it is about supporting credit facilities to grow the business. In fact, the forklift became an integrated part of a total offer. Therefore, it also became vital to understand the customers’ business. A close relationship led to a better insight in the balance sheet and allowed for a discussion on how to preserve credit lines for investments. This has also been the basis of the successful co-operation between DLL and Cat. Real co-operation made it possible for dealers across Europe to offer tailored, attractive deals. Of course, a rapid approval remains the last deal breaker as customers may have less patience than ever before. Over time, traditional thinking shifted from owning to using a forklift truck. Businesses started to differentiate between their ‘core activity’ and what was needed to support this. The concept of investing was redefined. So financing assets has become part of the daily business. Could you give us an overview of the situation today in Europe? Believe it or not, money has become scarcer. And consequently it has become more difficult for the supply side to help customers. In essence, the costs of funding depend on your rating. And the rating is based on the professionalism and the structure of the finance company. We are happy to say that we have always had a very good rating. Today the European Central Bank is pumping a lot of money into the capital market to sustain an increased level of investment. As a consequence, the cost of lending money has dropped to historic low levels. However, sectors like construction and transportation still struggle to really take off and investments are still limited. The materials handling sector is a more stable market. It is also a frontrunner in adopting new finance products and moving towards usage-based concepts, together with the office technology sector and the automotive sector. When we look at your question from a geographic point of view, we see some variations between the countries. In most countries, like Spain, Italy, France or Portugal, we see a mix of owning and renting. At the risk of generalisation, a larger company often prefers to rent. In Germany, however, we still see many cases where dealers prefer to own the equipment at the end of the contract. In this case, a financial lease structure is more appropriate. Meanwhile the UK, in particular, is a typical rental market. These dealers are looking for ways to finance their rental fleet and to offer their clients the optimal mixture. Back-to-back finance is a good example on how this is realised. Considering all those challenges, it must be difficult for a financing company to stay ahead of competition. How do you do that? Funding stability and commitment, which we demonstrated through the crisis, is one of the reasons why customers choose DLL. Obviously, you have to demonstrate to the financial decision makers that you understand their business and needs, and can provide the necessary high quality standards and speed of response in daily operations. Immediately after that, I would say transparency is important. But some new issues are also getting more attention. Sustainability, for example, plays a large role within DLL. In materials handling we have programs in place to finance refurbished and secondhand equipment. On a regular basis we have discussions about life cycle management and how we can facilitate Cat dealers in each step. A vendor partnership offers opportunities to share market knowledge and trends, both in materials handling and in the world of finance. Another good example is the availability of industry specialists at all levels within DLL. That creates a major point of difference from a general bank or leasing company. Clear. You must also understand the world of logistics really well. What are the biggest challenges in financing materials handling equipment? Despite the fact that larger companies look at lift trucks as a commodity, we still see that they prefer to invite strong brands like Cat to participate in bidding. Pricing is an extremely important aspect in the decision process, but at the same time it is vital to offer the right trucks for the right job. The explosion of e-commerce business requires exceptional performance in materials handling, and warehouses need to ship products within hours rather than within days. And you need the best equipment to do that. In short, the challenge is to offer the best equipment in the most flexible way and ‘pack’ this in an attractive financial package. "The challenge is to offer the best equipment in the most flexible way and ‘pack’ this in an attractive financial package." What will be the changes in financial products in the short term? Basically, the usage of the equipment will be the dominant driver. The customer wants ‘convenience’. Customers want to use the right equipment (correct and meeting the latest specifications), where they need it (at any location), when they need it (maximum operating hours, availability), and for the best price (cost-saving activities and total cost of usage). Finance companies need to work extremely closely with materials handling equipment suppliers to develop finance solutions tailored to customers’ needs. The challenge is to know the difference between what the customers ‘want’ and what they ‘need’. How will financial solutions evolve in the long term? Product details may change, but the essence remains to offer total solutions rather than just providing funds – enabling customers to focus on their core business. Fleet management solutions will also become more widespread. In addition, business models will be affected by changing accounting rules. It will become even more important to understand the customers’ business and needs in order to provide the right solutions. What changes will we see in the materials handling markets? Financial solutions are already a part of the whole package of a lift truck supplier – just as additional products like forklift attachments or racking solutions are. This is also what customers expect from premium brands like Cat. One change in the finance offering from leasing companies is noticeable: the customer’s perception of financial control. Some customers are afraid of repercussions when payments are missed. But good finance companies explain upfront that special payment structures like a payment ‘holiday’ could be part of the deal. This is great in countries where payments arrive late or where longer holidays have a negative impact on the cash flow. What are the 3 most popular financial solutions today? • Leasing is mainly provision of funds to the dealer or end user based on the assets, which can be structured in many ways to serve the customer’s needs. • Inventory financing is mainly provision of funds to dealers for stock or demo equipment. • Vendor finance is basically providing the manufacturers and dealers with the financial solutions offering that is required to serve their end customers. The success factor in this situation is a strong partnership with the vendor, to structure financing needs efficiently and effectively for all parties concerned.